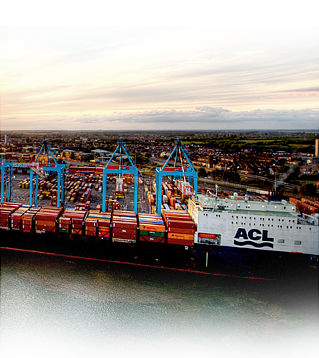 Atlantic Container Line AB (ACL) is one of the first, and most allround experienced carriers on the North Atlantic. Onboard the worlds largest combined Ro/Ro - Lo/Lo vessels we accept all kinds of cargoes - from "ordinary" dry van containers, reefers, selfpropelled units to for example machinery on 200 tonnes Mafi-trailers. ACL offers direct sailings to Canada and US Eastcoast, Southatlantic and US Gulf plus all inland destinations. Canadian crossborder to all US Midwest destinations. All kinds of equipment - Ro/Ro as well as Lo/Lo. 6 weekly departures.